In iOS 5 Apple for the first time has implemented the ability to change the ring tones and alert tones of our iDevices. On a lot of people surprised this change of attitude of Cupertino company that until recently did not allow users to make these changes. 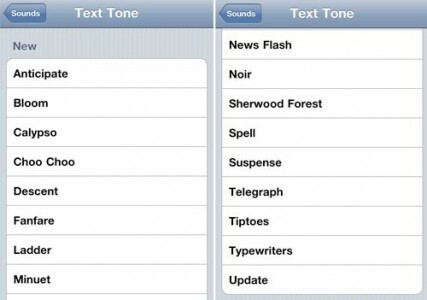 Of course, Apple did not make changes because before the release of iOS 5 opened a shop for iphone ringtones and alert tones for text messages, store in which all tones are available for only € 0.79 each. The good thing is that users can change their own iphone ringtones directly from the menu Settings> Sounds and the process of creating an alert tone or text message is the same as creating a ringtone. Below are all the steps that have to go through and you reach the end you will tone your devices available. Open iTunes and select the song that you want to make an iphone ringtone. After you have selected press right click on it and choose Get Info. From the new menu select Options and then open in the center of the screen check the Start Time and Stop Time. 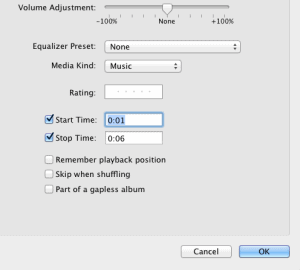 The Start Time must check the minutes of the song you want to start your tone and the Stop Time must select the minute of the song you want to stop the tone. For ringtones for iphone you must choose a maximum period of 30 seconds otherwise iTunes will not recognize the ringtone. For alert tones or text tones would be ideal to choose a maximum of just 5 seconds. READ How to Activate an iPhone? Now select the song again, right click on it and click Create AAC Version. You will notice that iTunes has made a new song that lasts you specified in step 2 but has the same name as the main melody. 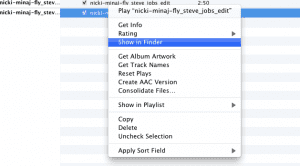 Now select the new song and click on Show in Finder (Mac) or the Show in Explorer (for Windows). After you open and display the song you just change its extension from M4a. to. M4r. 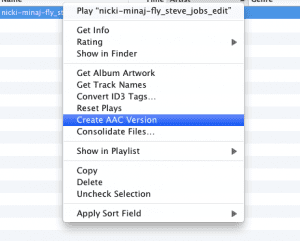 In Windows press F2 to change the extension on Mac song and you just click on the name. 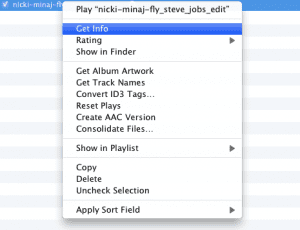 After you change the song format extension m4r. do a drag & drop them in the iPhone Ringtones section of iTunes. After the tone is there to connect your iDevice your computer, select it in iTunes Devices section and the main menu search Ringtones section where Sync all iPhone ringtones and then check Sync. After synchronizing the tone with your iDevice has to go to the section Settings> Sound and you’ll find in any menu changes tone sounds for calls, text messages, alerts.